Jodie Aguirre delivered a 17-strikeout performance in the circle and Grace Coffelt drove in the go-ahead run with an RBI single in the top of the eighth inning to lead the Alvin Lady Yellowjackets to a 2-1 triumph over Clear Creek Friday night in League City. With the score tied at 1 entering the extra frame, Mindy Matthews led off with a single to left field and was promptly bunted over to second base by Shae Montemayor. Lady Wildcats’ hurler Megan Lee retired Clarissa Barron on a line to first base, but Coffelt then singled through the infield’s right side to score Matthews. Aguirre (three hits, two walks), who escaped a bases-loaded jam in the seventh, then struck out the side in the eighth to close it out. With Aguirre and Lee matching goose eggs through the initial five frames, Barron broke the scoreless deadlock for Alvin with a run-scoring single in the sixth. Creek answered in the frame’s bottom half on Brianna Aranzetta’s RBI single. Alvin was coming off an 8-0 run-ruled home victory over Clear Lake on March 5. The Lady Jackets hosted Clear Falls late Monday, but game results were unavailable at press time and will be published in the Weekend Alvin Sun. Manvel 8 Terry 3 - Rebounding from a 10-0 defeat at home to No. 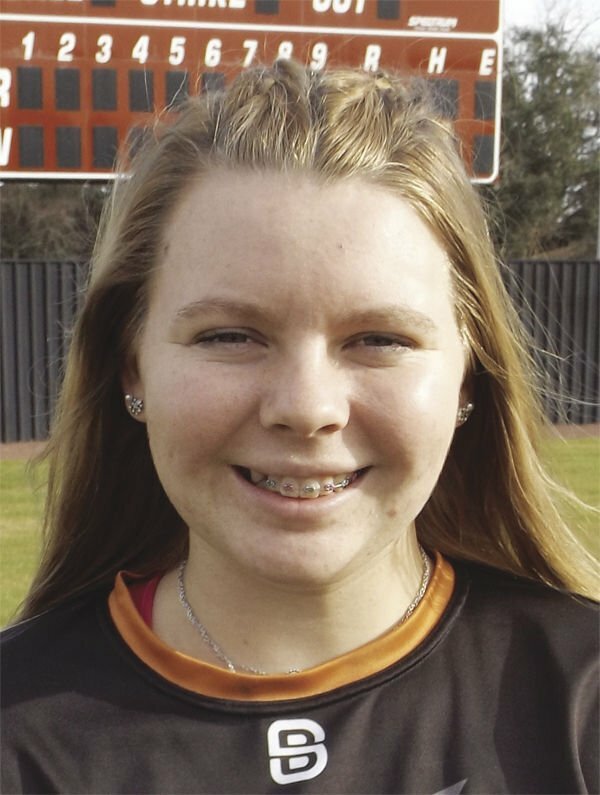 2 state-ranked Angleton a day earler, the Lady Mavericks topped Terry in eight innings Saturday in Rosenberg. Manvel broke a 2-2 tie with a six-spot in the eighth. Riley Bennett drove in three runs and Brittany Hood added a pair of RBI's to lead Manvel offensively. Bennett also joiined Karissa Schneider with two hits apiece. Addison Greak picked up the win in the circle for the Lady Mavs. 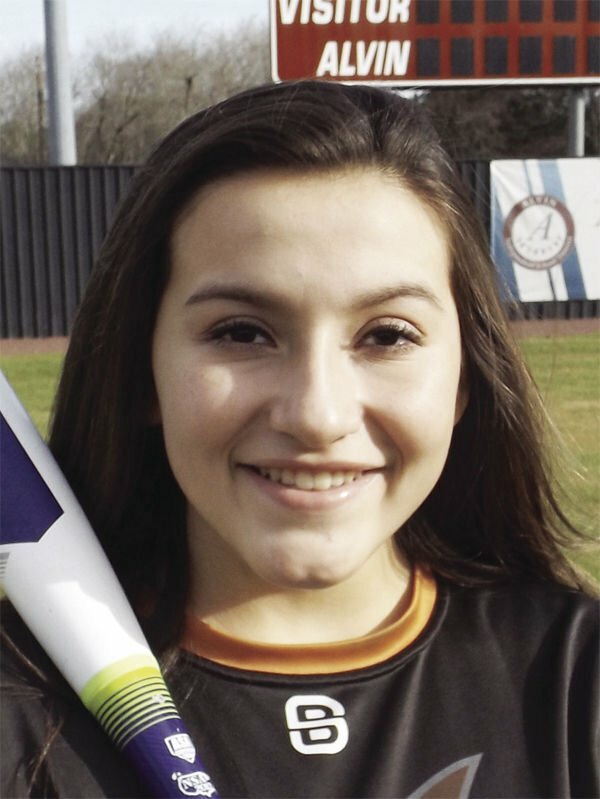 In Friday's game, Lady Wildcats’ hurler Aaliyah Garcia fired a perfect game and just missed it all coming on strikeouts in Manvel. Garcia fanned the first 16 Manvel hitters to come to the plate, before Hood became the first Lady Maverick to put the ball in play with a bunt back to the circle. However, Garcia then came back to whiff Charley Cross for her 17th strikeout and the game’s final out in the bottom of the sixth. Shadow Creek 11 Lamar Consolidated 1 - Zara Bennett fired a one-hitter and also helped her own cause by driving in a pair of runs in the Lady Sharks’ run-ruled victory in Pearland against Consolidated Friday night. Other offensive standouts for SC included Aniyah Burns with four hits, Cheyenne Kelly with two hits and two RBI’s, Jillian Gutierrez with two RBI’s and Holly Vollman with two hits. The victory was the second straight in district for the Lady Sharks, who topped Terry 14-10 in Rosenberg on March 5. The Lady Sharks erupted for 12 runs over the last three frames. Trailing 10-2 entering the fifth, Shadow Creek busted loose for a four spot and followed with a six-run sixth uprising and two more tallies during the seventh. Bennett led the way with five RBI’s, while Celeste Luna and Kelly drove in two apiece.